The universal remote control is one of the most necessary technological developments home entertainment has seen in the last three decades, controlling your 4K TV, your A/V receiver, and even your streaming boxes in many cases. Still, even though we’ve seen many advances in the technology over the years, the universal remote remains imperfect. Fortunately, companies like Logitech (which, frankly, dominates this list) and others have been hard at work to make a better all-in-wonder remote, and we now have better options now than ever before. The list of truly great universal remotes, however, is short and sweet. If you’ve been needing to consolidate a coffee table’s worth of silver and black wands, the following are the very best options on the market today. Why you should buy this: It handles just about all of your home theater needs at an unbelievably low price. Who it’s for: Anyone looking to control their home theater without spending a fortune. Your days of fumbling with complicated tech and tons of remotes are about to be over. 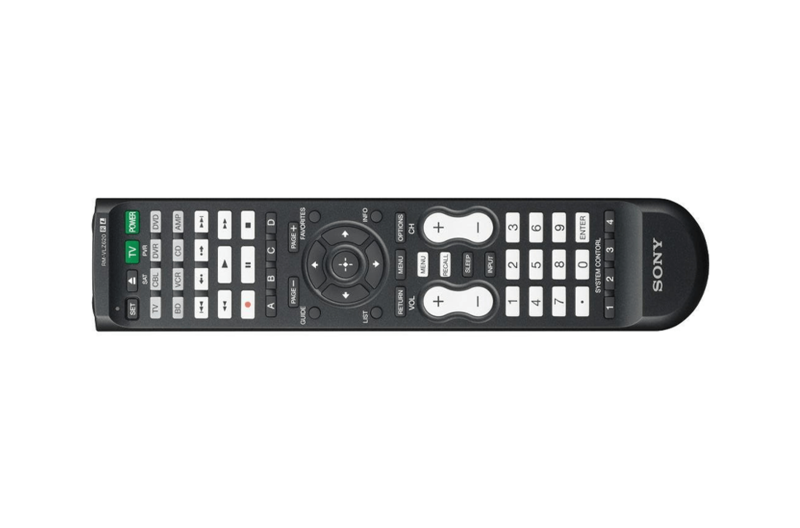 The Harmony 650 isn’t the most advanced remote on our list, but its rich set of features, ease of use, and low price make it an easy choice for our top pick. This remote initially sold for $80, but can now be found for less than $35. You’ll need an internet-connected PC to get the Harmony 650 up and running, but once you do, intuitive buttons like “Watch TV” will execute multiple commands, powering up your television and cable/satellite box and switching the TV to the correct input in one fell swoop. Why you should buy this: It’s a perfect blend of power and simplicity. Who it’s for: Anyone looking to control their smart home from the comfort of their couch. 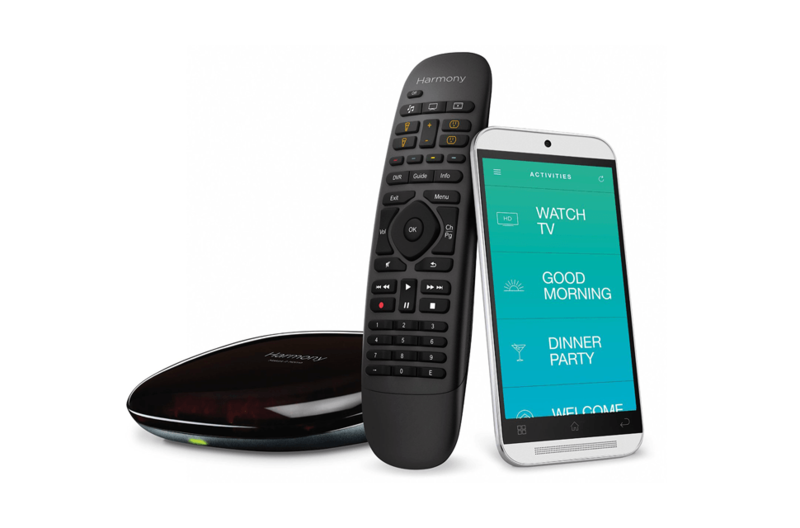 The Harmony Companion is built for the 21st century. It lets you control up to eight devices at once, from Philips Hue lights and smart TVs to A/V components enclosed within cabinets, using either the included remote or the companion app for Android and Apple devices. It even features integration with Amazon’s Alexa. The physical clicker also sports a variety of activity-based buttons for everyday tasks, with robust customization and a marathon battery to match. Why you should buy this: If it can be controlled by a remote, this will let you control it. Who it’s for: Anyone looking to control every single aspect of their home theater and smart home in one place. The most powerful remote on this list, it should come as no surprise that the Logitech Harmony Elite is also the most expensive. No, you probably don’t need this much remote, but if you want the ultimate all-in-one experience, this is where it’s at. Picking up where the Harmony Companion leaves off, the Elite adds a built-in, full-color touchscreen so you won’t need to turn to your phone for precise control nearly as often. The full package includes the Elite remote, the Harmony Hub, two IR mini-blasters to control components out of line-of-sight, and a charging station to keep the remote ready to go at all times. Why you should buy this: It does just enough, and sometimes that’s all you need. Who it’s for: Anyone looking for a universal remote to handle the basics and nothing more. The Sony RMVLZ620 thrives in the bare essentials (and has done so for years). The remote provides a straightforward way to pair up to eight devices using a host of pre-programmed codes while sporting a traditional design equipped with a basic D-pad and backlit, rubberized buttons. It even provides 12, one-touch macro buttons and a learning function for relaying command information from discontinued remotes.